Novartis’ Sandoz division has filed its biosimilar of Humira in the US, aiming to take a share of its multi-billion dollar revenues once its patent expires. The generics and biosimilars arm of Novartis said the FDA had accepted its filing for the biosimilar using a regulatory pathway reserved for these near-copies of biologic drugs. Amgen already has its Humira biosimilar Amjevita approved by the FDA, but will not begin selling it until 2023 after reaching an agreement with AbbVie last year. The deal was seen as an admission on Amgen’s part that AbbVie’s legal defences against competitors are watertight. The expectation is that other manufacturers will also find themselves delaying launches too, but with US sales of more than $10.4 billion in 2016 alone, a fresh legal challenge to Humira’s patents could be worthwhile. The FDA has also approved Boehringer Ingelheim’s Humira biosimilar, Cytelzo, but this also cannot be launched in the US yet because of ongoing litigation. Humira’s success is down to its incredible versatility – an anti-TNF drug, it is approved in a range of inflammatory diseases, including rheumatoid arthritis, plaque psoriasis and Crohn’s disease. Sandoz has submitted a data package to the FDA, comprising analytical, preclinical and data, aiming to demonstrate its biologic copy matches Humira in terms of safety, efficacy and quality. Clinical studies submitted to the FDA include a pharmacokinetic study in healthy volunteers and a phase 3 confirmatory safety and efficacy study in patients with moderate to severe chronic plaque-type psoriasis. 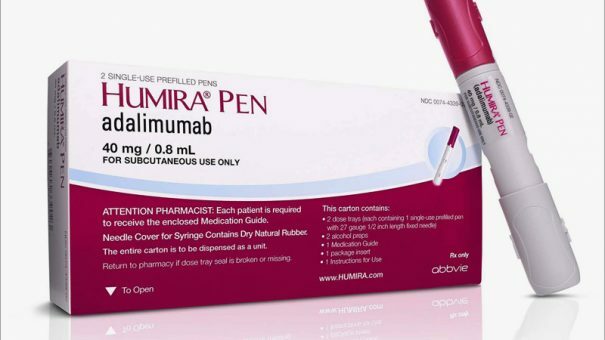 The story in Europe is quite different, as Humira’s patent expires here in October. Sandoz has filed the biosimilar with regulators there in a bid to get it on the market as soon as is legally possible. A group of other companies also have Humira biosimilars approved and ready for launch in Europe later this year – Amgen, Samsung Bioepis, and Boehringer. For Novartis, having a Humira biosimilar on the market is part of their wider strategy to be a major player in the inflammation and immunology field. News of the FDA filing for Sandoz’s biosimilar today coincided with new data on Novartis’ psoriasis treatment Cosentyx, showing it outperformed Janssen’s Stelara. Cosentyx has been one the most successful launches of the last few years, and is set to be a dominant player in the next generation of therapies. Novartis is looking to take full advantage of its branded and generics/biosimilar business model, with Cosentyx and a Humira biosimilar will help it provide a broader offering. AbbVie isn’t down and out from the therapy area yet, however, and is preparing to file its own long-acting psoriasis drug.